The provided Atlas Brand Mustard Seasoning Powder is widely demanded by our clients for its optimum purity and delectable taste. Botanical Common Name: Brassica juncea (L.) Czern. & Coss. 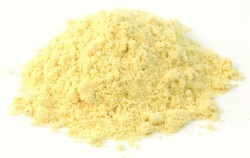 Mustard (Rai) powder is prepared from whole Mustard. It is grounded to make fine powder. Our organization holds expertise in processing, exporting, distributing and supplying superior grade Raai Powder in Delhi, Delhi, India. Our offered Raai Powder is widely appreciated by our customers, which are situated all round the nation. Known for its best quality, clients can avail this Raai Powder at industry leading prices from us. 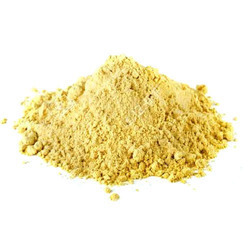 Mustard powder is the powdered form of whole mustard. It is used as a spice to provide hot and strong flavor to the food. Mustard seed powder is used in the preparation of sauces, cheese and egg dishes, pickles, curries, etc. Yellow mustard powder is mixed with water and bear to give different taste to the food. We are one of the popular exporters of mustard powder from india. With rich industry experience and knowledge, we are providing an excellent quality range of Mustard Powder. In order to cater to the diverse requirements of clients, we are offering a superior range of Sambhar Masala. These sambhar masala offered by us are available in different packagings such as 15 g, 50 g, 100 g, 500 g and 1 kg in accordance with the emerging demands of clients.